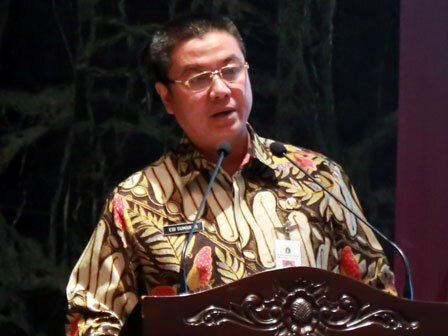 Jakarta Taxation and Retribution Agency (BPRD) socializes people about fine deletion for vehicle tax (PKB) and Land Tax and Rural and Urban Buildings (PBB-P2) up to settlement areas.
" We support it using official letters signed by urban village head thus socialization can be continued to RT and RW"
Jakarta BPRD Head, Edi Sumantri hopes urban village heads can continue to socialize this policy at RT/RW level thus people can use this chance until August 31, 2018. "We support it using official letters signed by urban village head thus socialization can be continued to RT and RW," he mentioned, Friday (6/29). Until today, his side has prepared banners to socialize about PKB and PBB-P2 tax fine deletion. All banners will be distributed to 265 Urban villages offices in Jakarta, especially mayor office and crowded places. "We have prepared eye-catching banners in Samsat offices," he stated. He also reminds people to use this chance because tax fine deletion will be enacted for more than two months which is longer than previous years. "This policy is also enacted last year. But in different period, which is started from June 27 to August 31, 2018," he said.